Raimondo di Sangro dedicated his Sweetness of the Marital Yoke to the wife of his eldest son Vincenzo, Gaetana Mirelli of the Princes of Teora, when she was in the flower of youth. 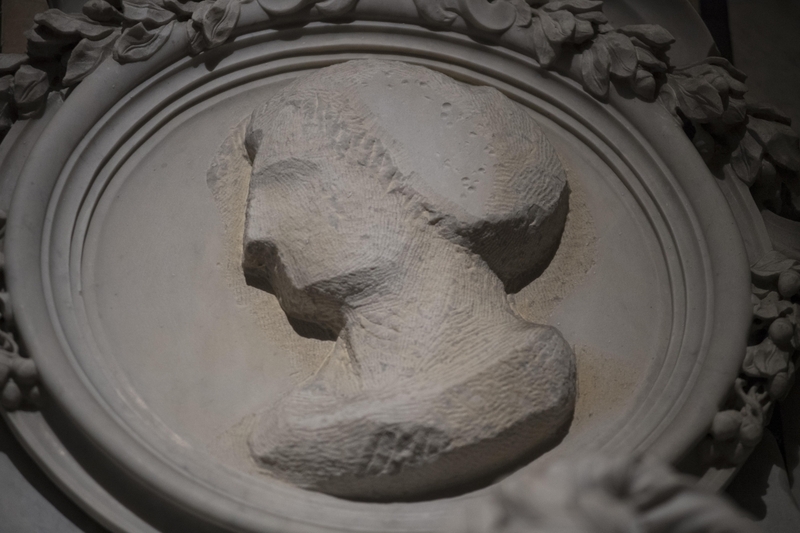 It is for this reason that the woman’s profile is little more than a sketch in the medallion, as was customary in the case of monuments to those still living. Paolo Persico was paid one-hundred-and-sixty ducats for this work. 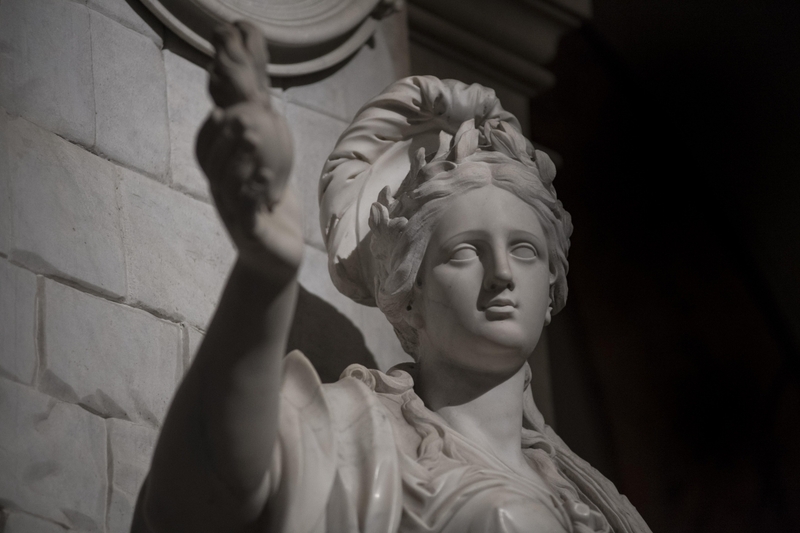 The marble group portrays a fulsome-bellied woman holding a feathered yoke representing sweet obedience, and in her right hand she holds up two flaming hearts (deep mutual love). 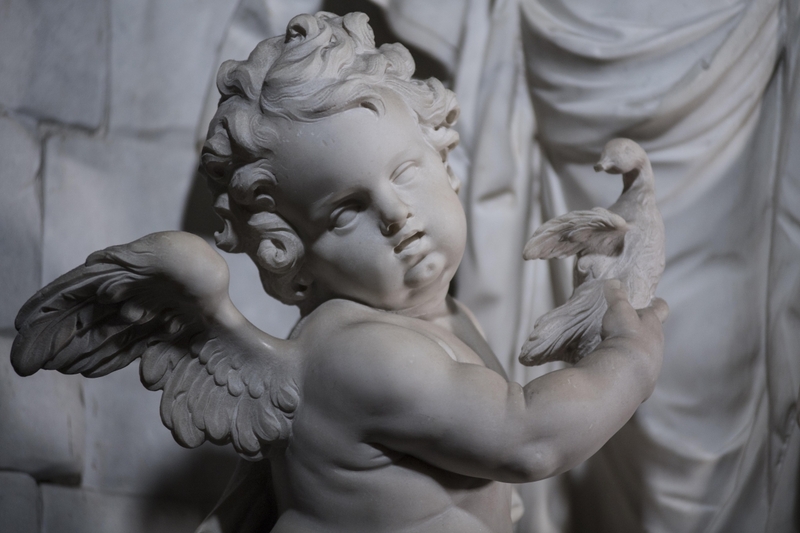 At her feet a winged putto plays with a pelican, emblem of charity. 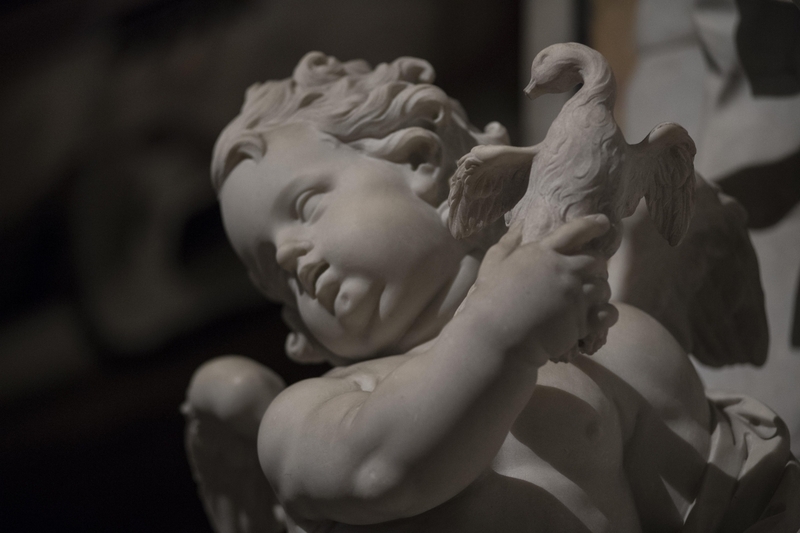 In mediaeval iconography, in fact, the pelican which pierces its own breast to nurse its young represents the sacrifice of Christ on the cross. 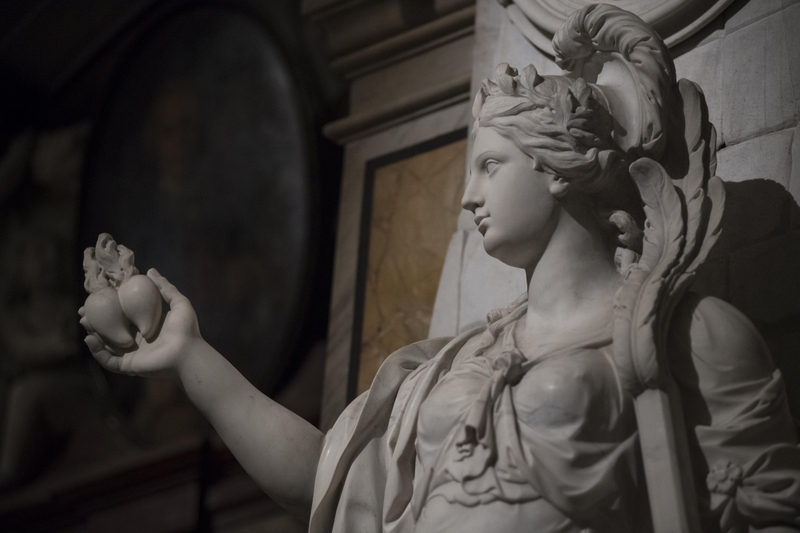 The subjects of this allegory by Persico, a sculptor from Sorrento, are particularly fleshly and show an exaggerated decorativism. 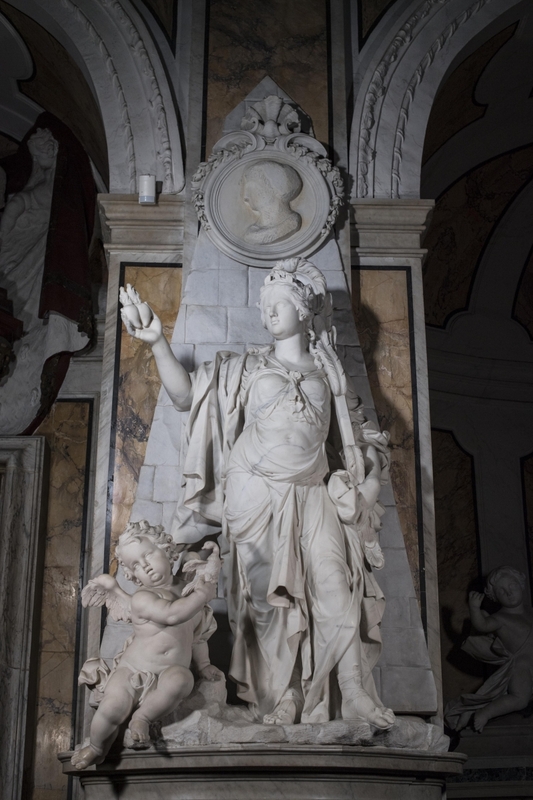 We see motifs familiar from two more statues in the Sansevero mausoleum, including the transparent clothing, but with less startling aims and results. As in three other statues in the Chapel, the column is the support for one face of a pyramid. And in this monument too, a number of interpretations have included allusions to procedures regarding alchemy. Reflecting a moment on one iconographical feature, the pelican, it may be said that this bird not only symbolises a particular type of retort (a container for distillation), but represents an image of the philosopher’s stone dispersed in lead in the fluid state. Lastly, according to the Hermetic tradition, the blood of the pelican is the so-called natural quintessence.